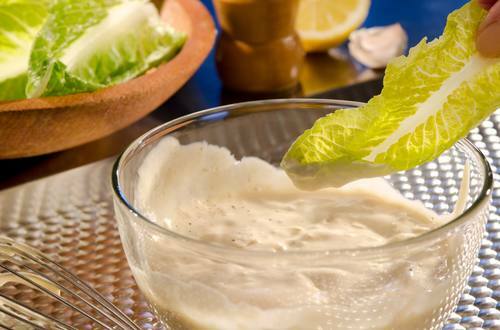 This quick, whisk-together dressing takes the guesswork out of Caesar salad! 1 Combine garlic, lemon juice, mustard and Worcestershire sauce in medium bowl. Whisk in remaining ingredients. Serve, if desired, over romaine lettuce.